Although the Alex Verus series is urban fantasy, the first books I had published were in the children’s genre. Their name was the Ninja series, and I started writing them all the way back in 2002. In my first year at Cambridge University, I signed up for a society affiliated with the Bujinkan Cambridge Dojo that taught a martial art called ninjutsu. I’d tried a few different martial arts in the past, but for some reason ninjutsu suited me in a way that the others hadn’t – not just the fighting style, but also the philosophy and mindset behind it. I’d go on to practise ninjutsu during the length of my stay at Cambridge and for several years afterwards. In the third year of my degree I started a new novel, my fourth. The basic plot was ‘girl in ninja school’ and it was heavily influenced by the time I’d spent in the Cambridge dojo. 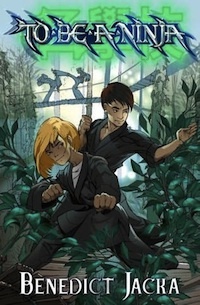 I finished it in 2003 and gave it to my agent, who sent it to Simon & Schuster UK, and finally in 2005 (after some major rewrites) To Be A Ninja was published. 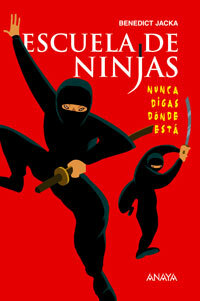 To Be A Ninja also came out in French under the title Maitre Ninja, and in Spanish under the title Escuela de Ninjas. In 2007 the sequel was released, and Simon & Schuster also reprinted To Be A Ninja at the same time. In the new printing, To Be A Ninja was renamed Ninja: The Beginning, and the sequel was named Ninja: The Battle. Ninja: The Battle was longer than the first book and in it I had the chance to develop lots of interesting stuff that had only been hinted at in the prequel, like the history of Allandra and Ignis’ family and how they came to Rokkaku and the details about the secondary characters such as Christopher, Jennifer, Shiro, and Ichiro. Finally, it finished the main storyline with Vargas (although not the storyline with Michael). Sadly Simon & Schuster didn’t contract for a third book, so Ninja: The Battle was the last in the series. Finding the Ninja series nowadays is hit and miss – they’ve been out of print for years and even I don’t have many copies left. That said, there are usually some second-hand editions floating around on the used books market. Here are the Amazon links (which have copies available at the time of writing) – if these come up dry, try other Internet sellers like abebooks. I still get mail from time to time asking if there’s going to be a third book in the Ninja series. Unfortunately, the answer is ‘probably not’. Right now I spend most of my writing time on the Alex Verus series and honestly, I’m happy with that – I’m lucky enough to have a good ongoing series and two very good editors to work on it with and that’s what I want to be doing. While Ninja: The Battle wasn’t a complete wrap-up to the Ninja series, it was a fairly satisfying ending. 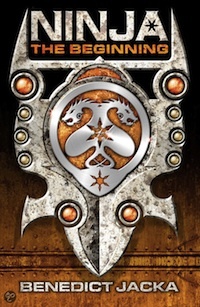 I didn’t finish all the plotlines in the series, but I finished most of them, and I told all the parts of the story that I really wanted to tell. In the years since then I’ve moved over more and more to writing adult fiction instead of children’s fiction, and I’ve found I prefer it. So while anything’s possible in the long term, for now I’m happy to keep Ninja: The Battle as the final book of the series and to leave Allandra and Ignis in Rokkaku.